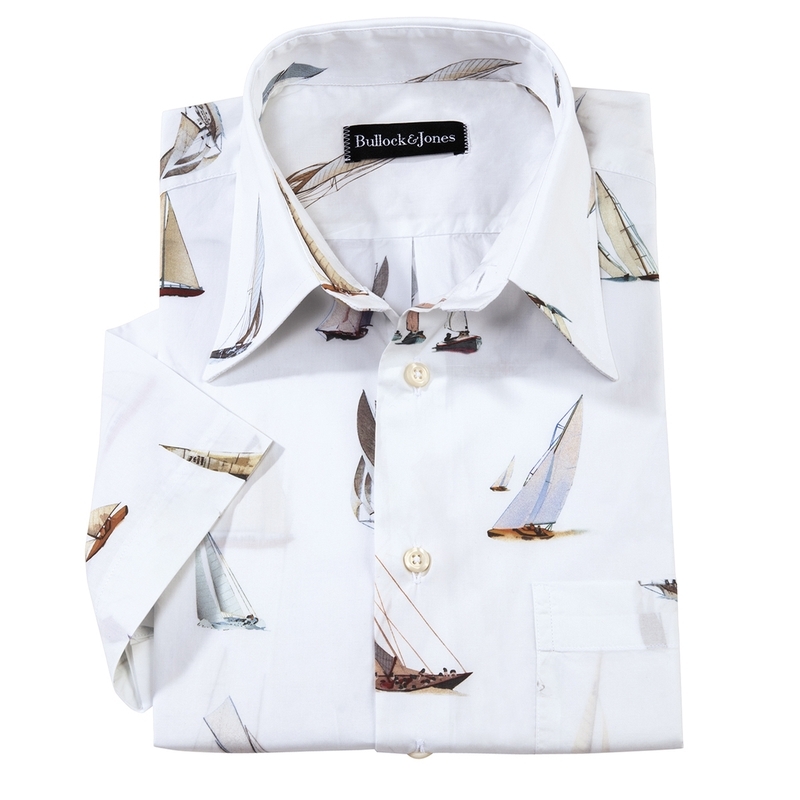 Sailing Sport Shirt puts the wind in the sails of your warm-weather wardrobe. Pure cotton, printed in Italy, tailored in America. With point collar, short sleeves, one pocket.